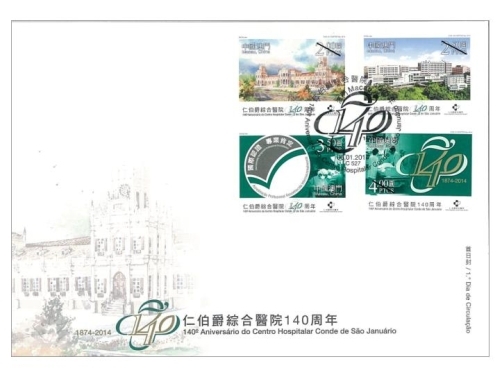 STAMP ISSUE "140th ANNIVERSARY OF CONDE DE SÃO JANUÁRIO GENERAL HOSPITAL"
Since the opening of Conde de São Januário General Hospital in 1874, it has been raising the quality of its medical staff and improving the advanced medical equipment, to better serve the Macao people. 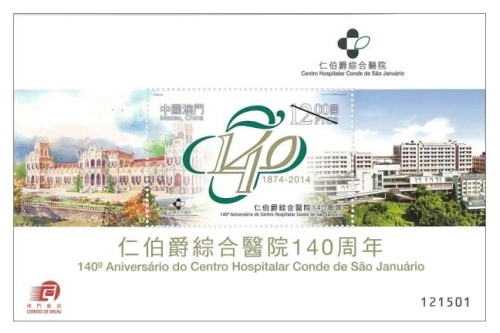 To celebrate its 140th anniversary, Macao Post will issue the stamp theme "140th Anniversary of Conde de São Januário General Hospital" on 6th January, 2014. 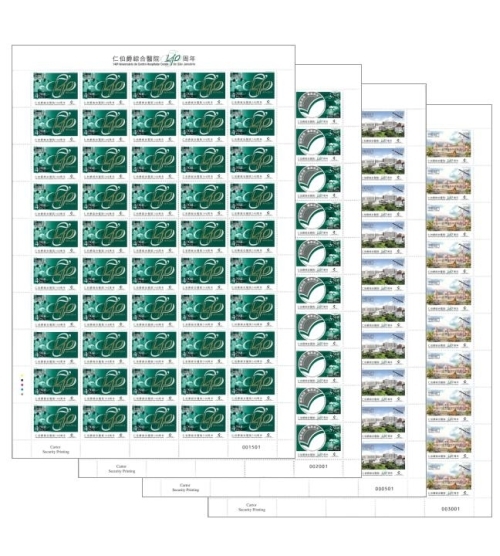 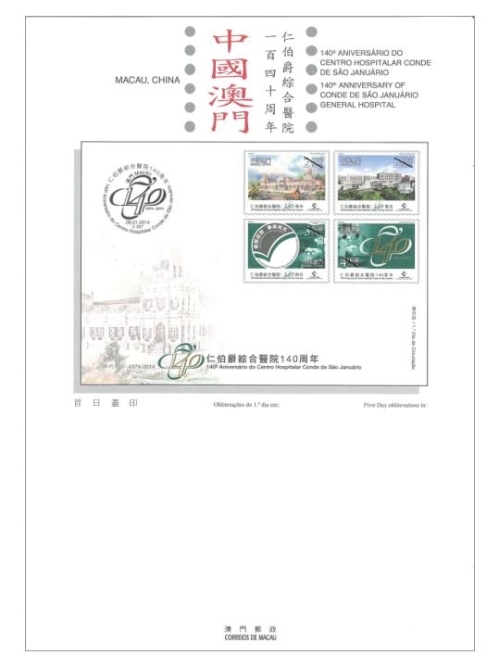 This issue includes a set of four stamps and one souvenir sheet, the designs show the evolution and development of the hospital, giving a view to enhancing the public’s understanding of Conde de São Januário General Hospital. 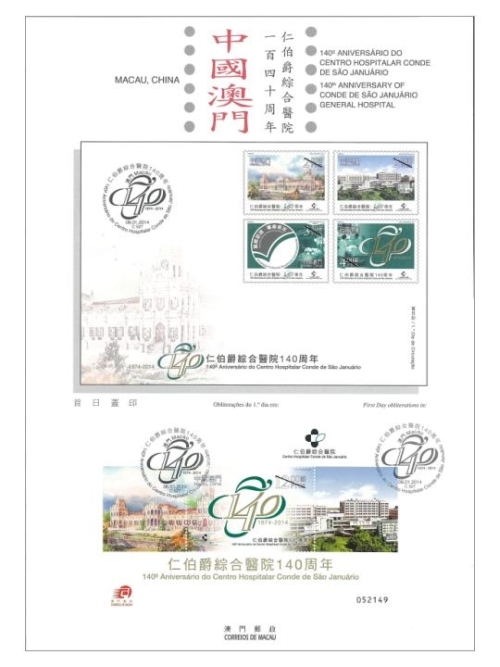 The design of this stamp issue and the text of the information brochure are responsible by Health Bureau of the Macao Special Administrative Region Government – Conde de São Januário General Hospital. 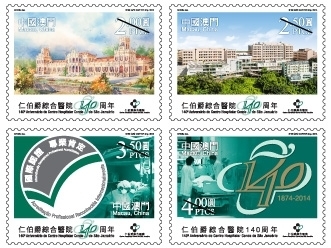 This is the second issue in 2014. 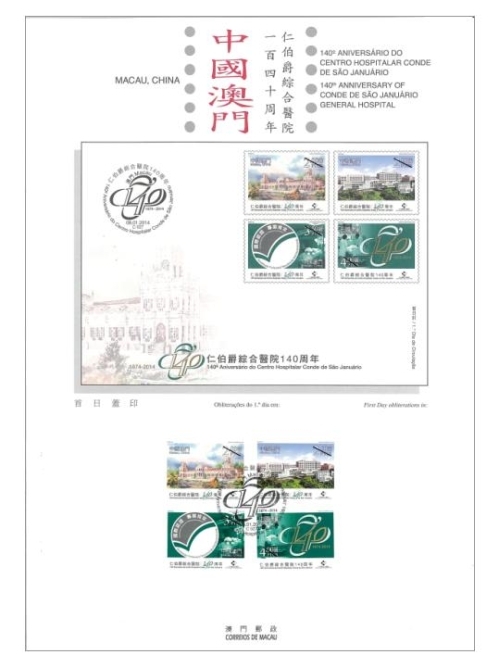 The first issue is "Lunar Year of the Horse" to be issued on 03/01/2014. 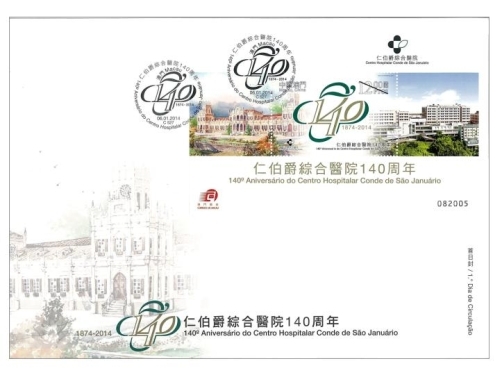 Technical Data of Stamp "140th Anniversary of Conde de São Januário General Hospital"